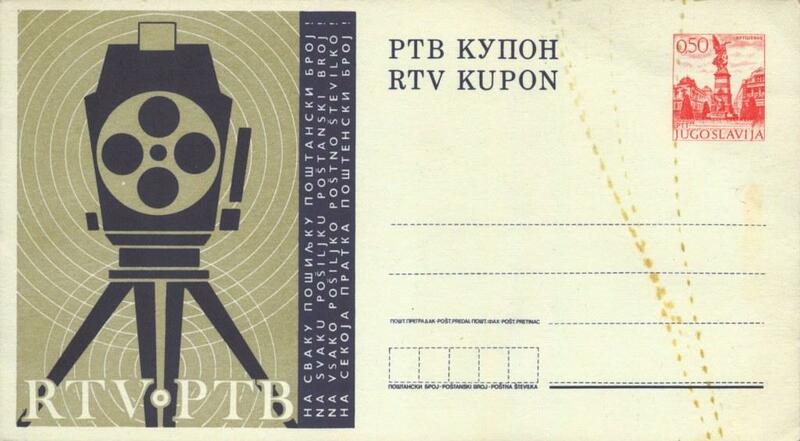 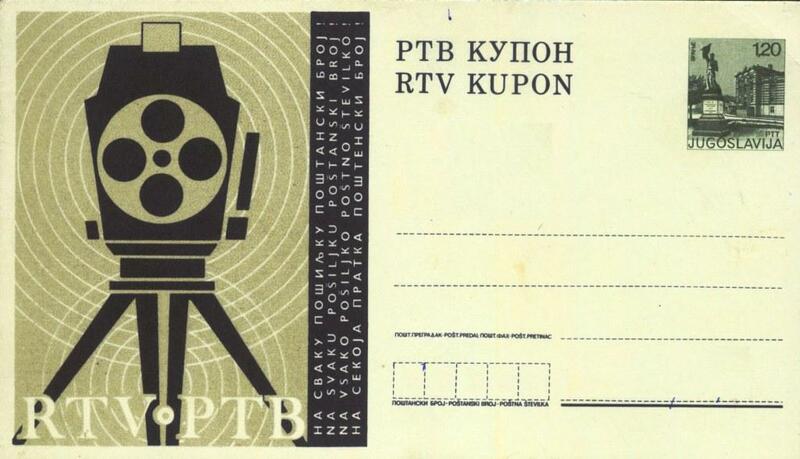 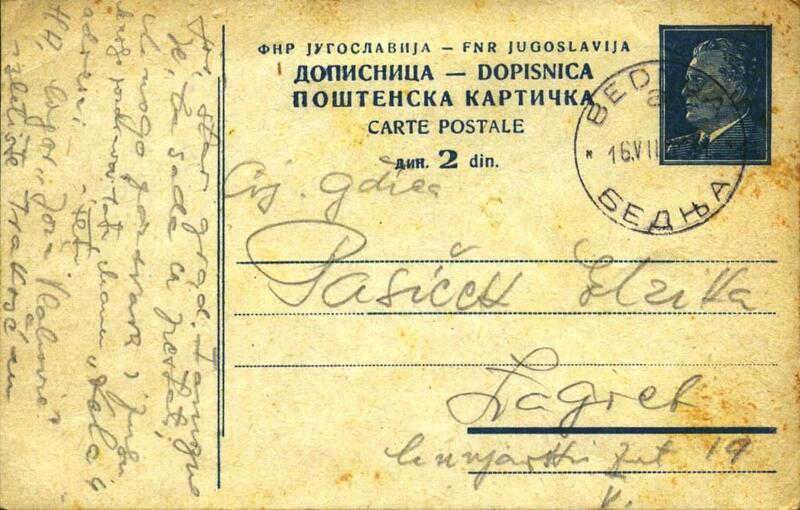 RIJEKA 1 (PR Croatia) / 23-09-1953. 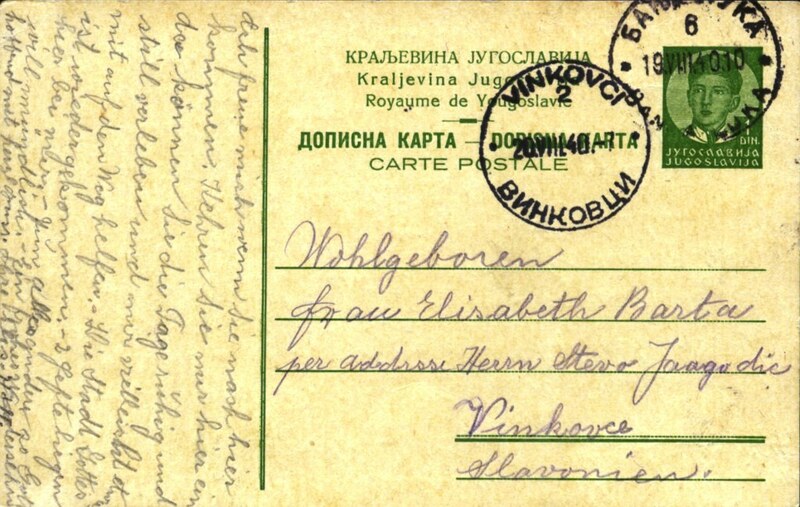 ZAGREB 2 (PR Croatia)/ 08-07-1959. 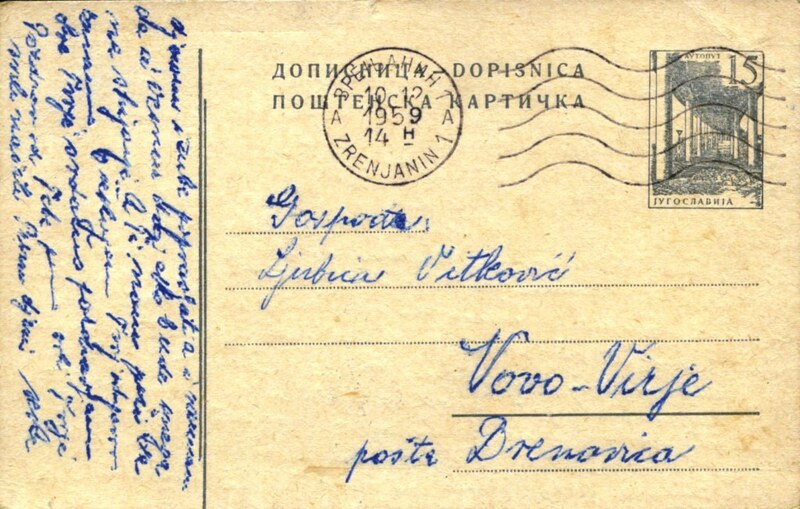 DRENOVICA (PR Croatia) / 13-04-1959. 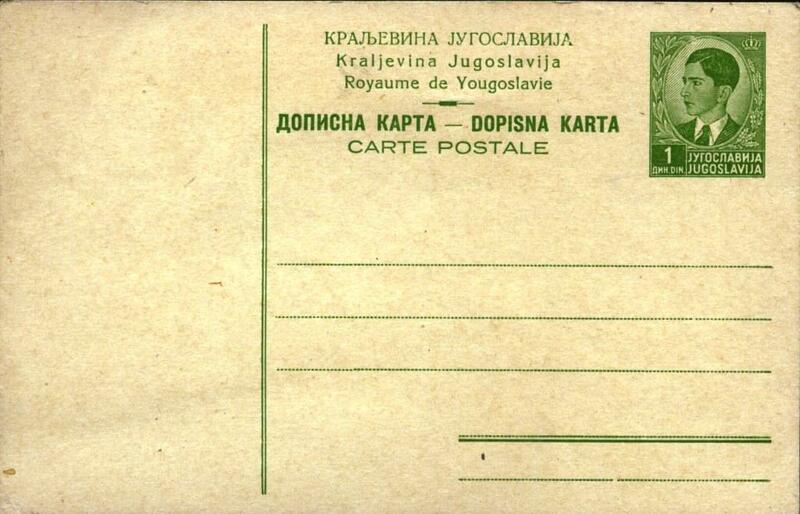 ZAGREB 2 (PR Croatia)/ 21-02-1959.
used: from—-> to ZAGREB 1 (PR Croatia) /09.08.1947. 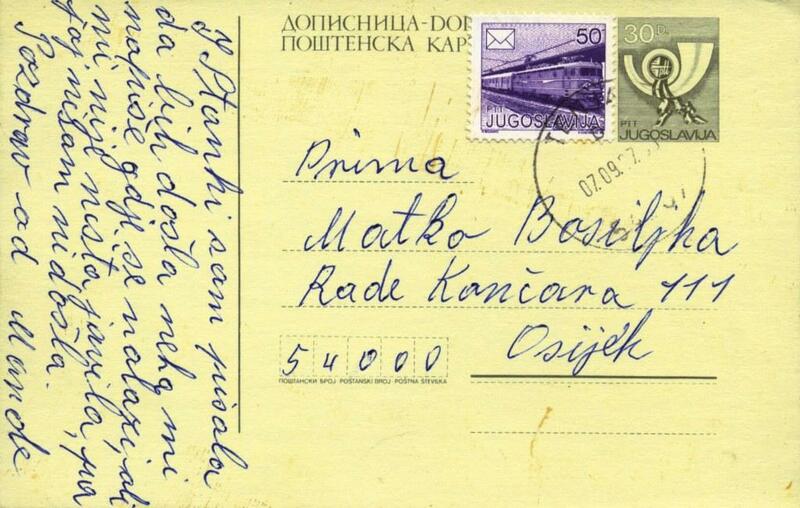 BAKAR (PR Croatia) / 11.08.1947. 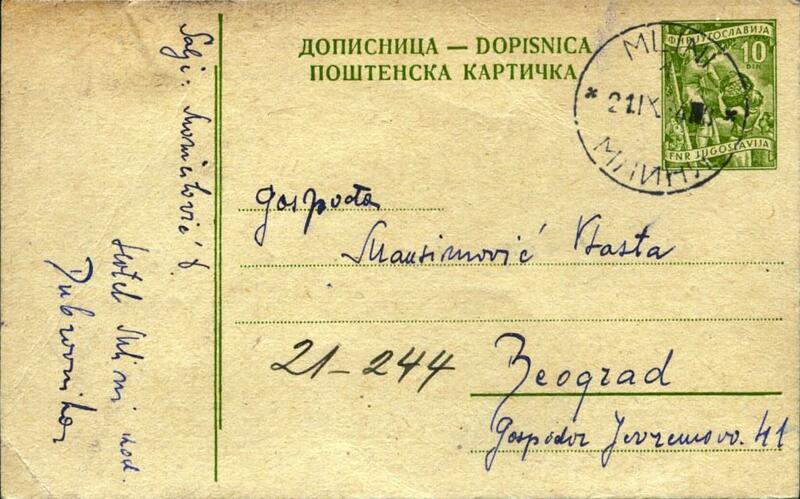 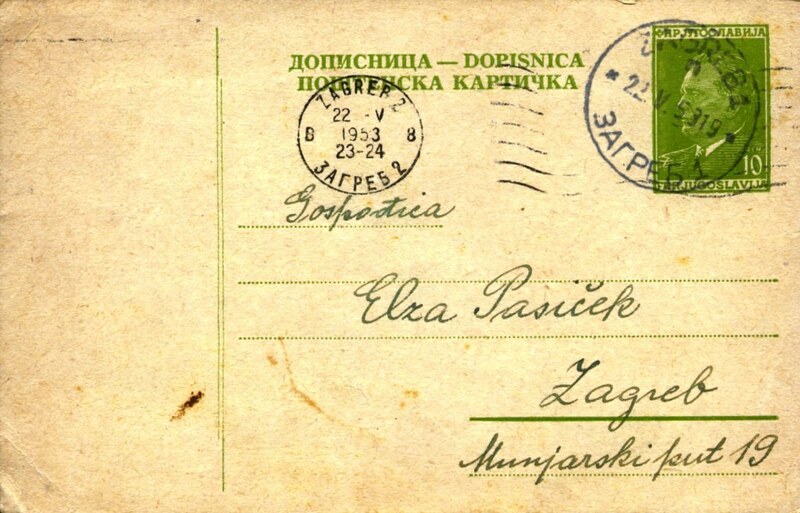 ZAGREB 2 (PR Croatia) / 03.12.1947. 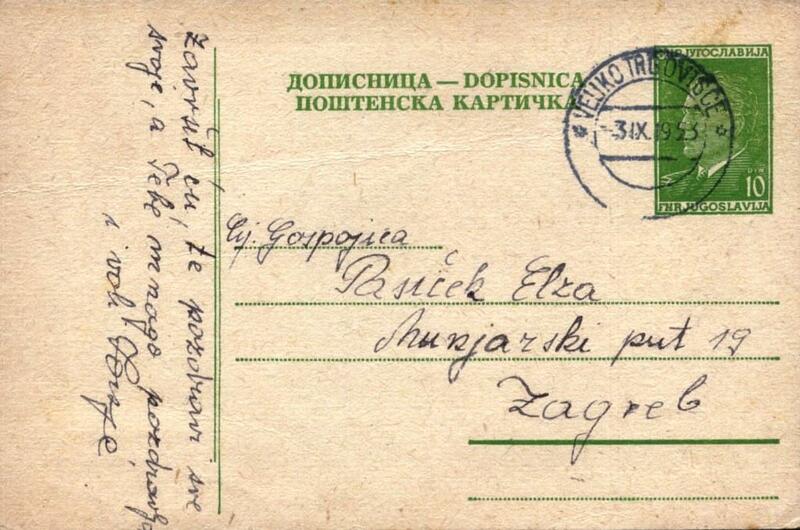 ZAGREB 2(PR Croatia) / 23-08-1950.
used: from->to ZAGREB (PR Croatia) /23.10.1952. 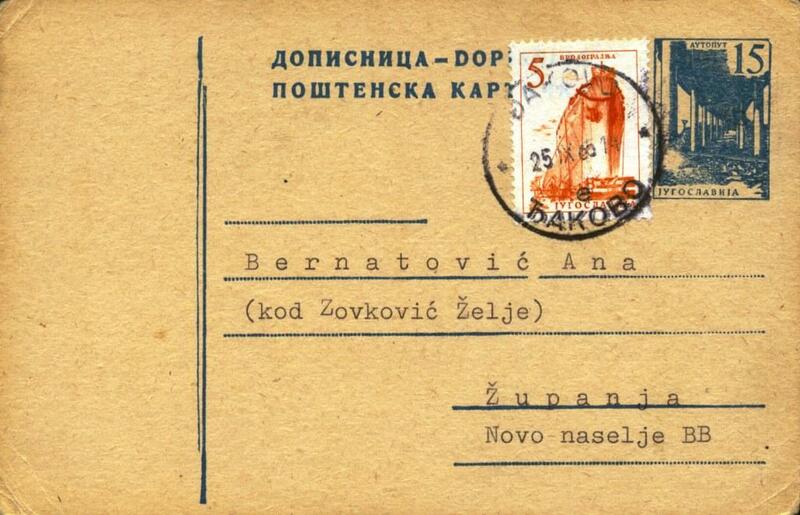 ZAGREB (PR Croatia) / 05.10.1952. 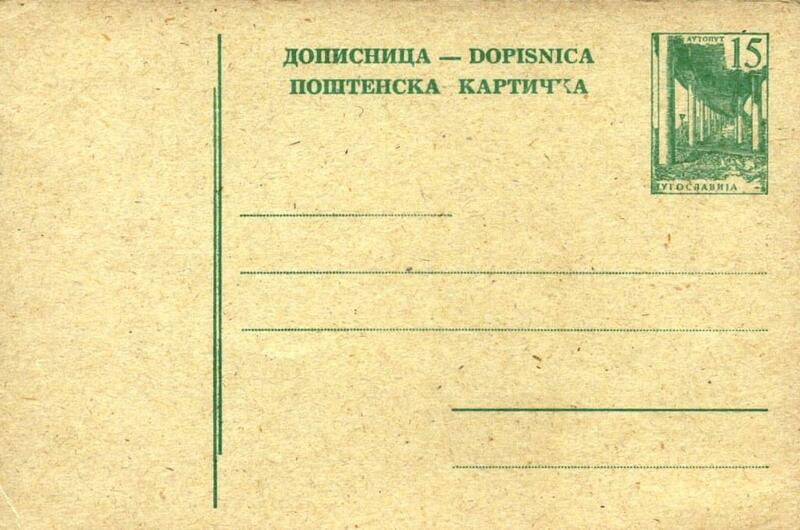 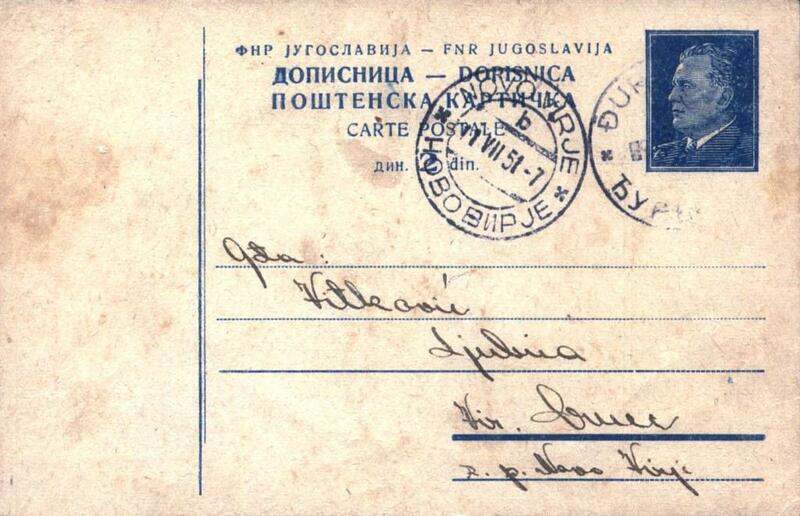 ZAGREB (PR Croatia) / 01.01.1953.
used: from —-> to ZAGREB 2 (PR Croatia) / 12-12-1952. 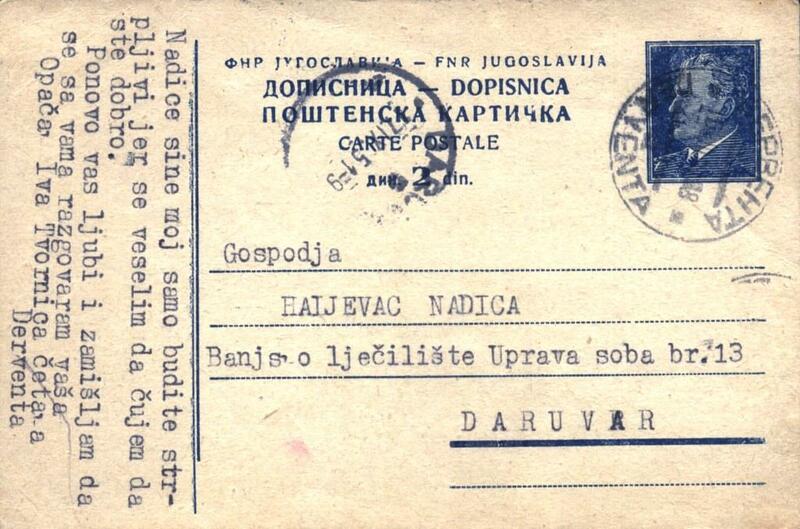 DARUVAR (PR Croatia) / 17.09.1951. 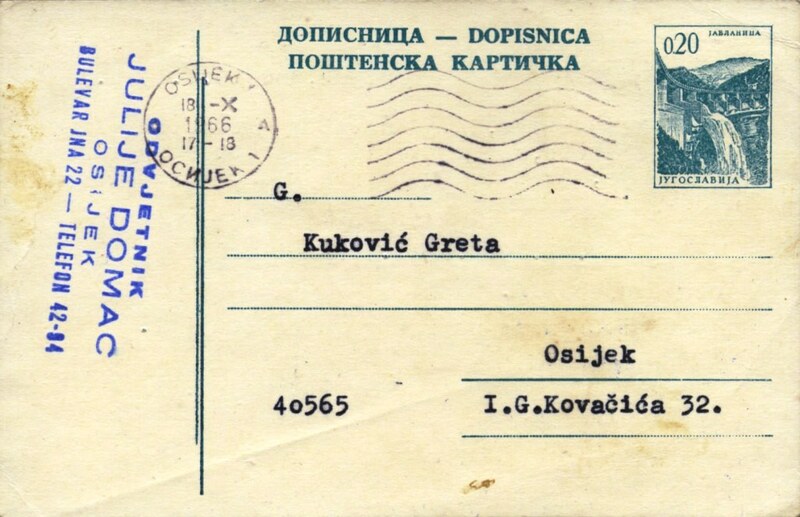 ZAGREB (PR Croatia) / 14-10-1953.
used: from->to ZAGREB (PR Croatia) /22.05.1953. 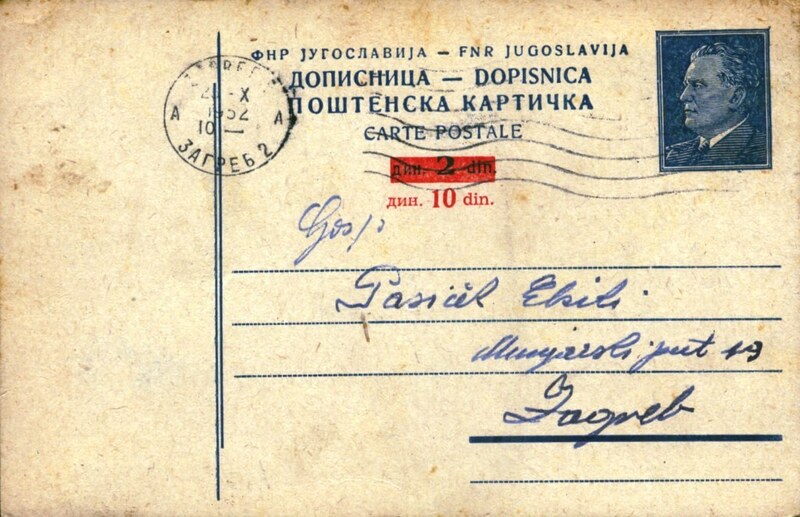 ZAGREB 2 (PR Croatia) /11-06-1953. 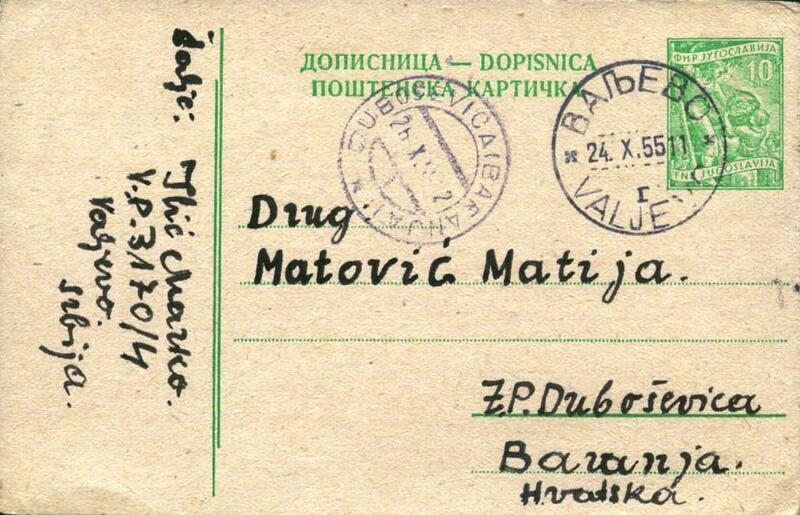 DUBOŠEVICA (PR Croatia) / 26.10.1955. 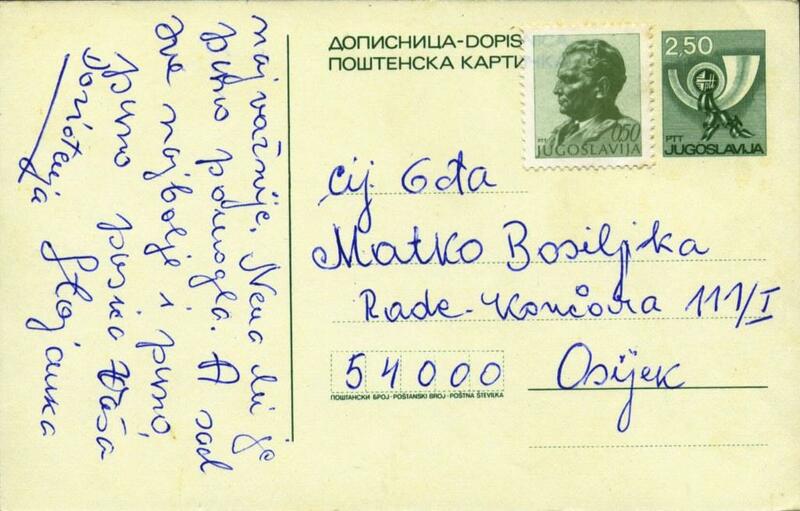 KOSOVSKA MITROVICA (AP Kosovo) / 06.11.1957. 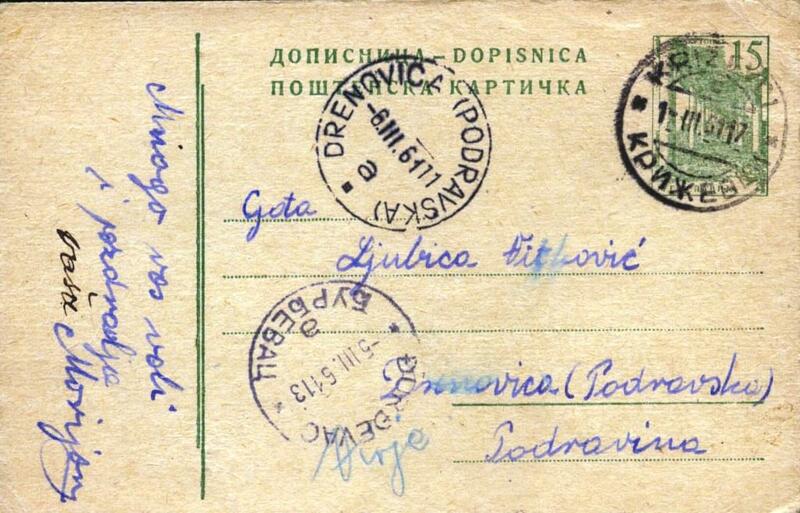 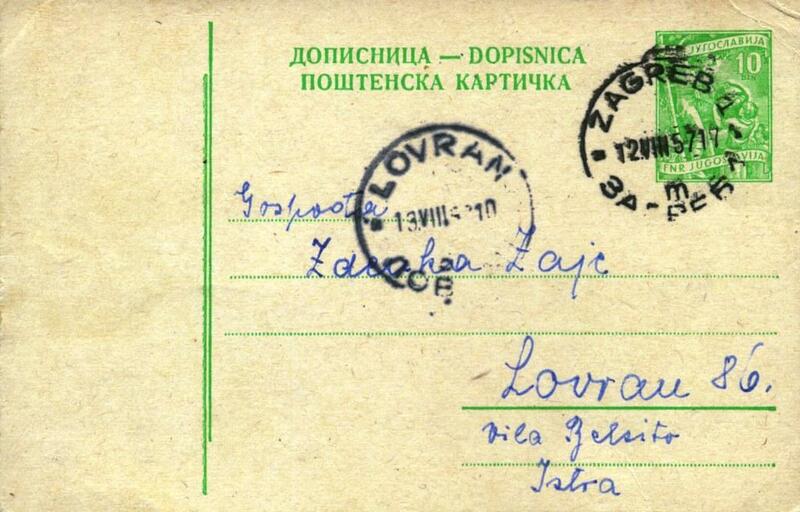 LOVRAN (PR Croatia) / 13.08.1957.
used: from->to OSIJEK (SR Croatia) /15.02.?. 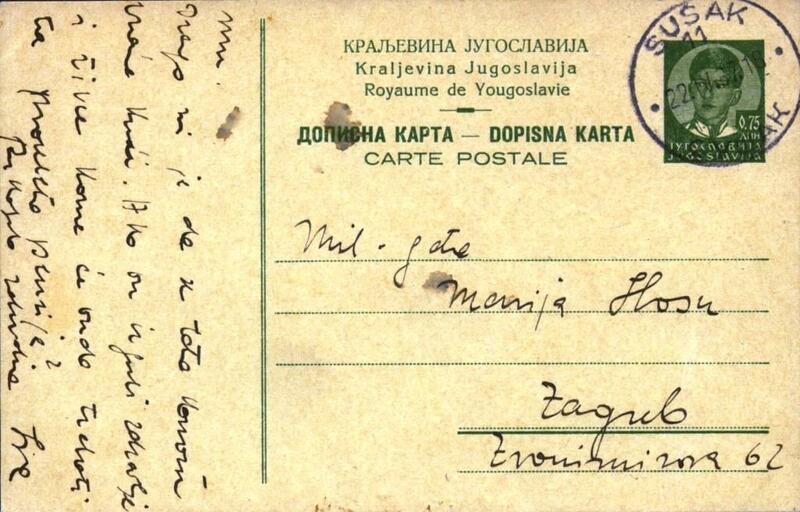 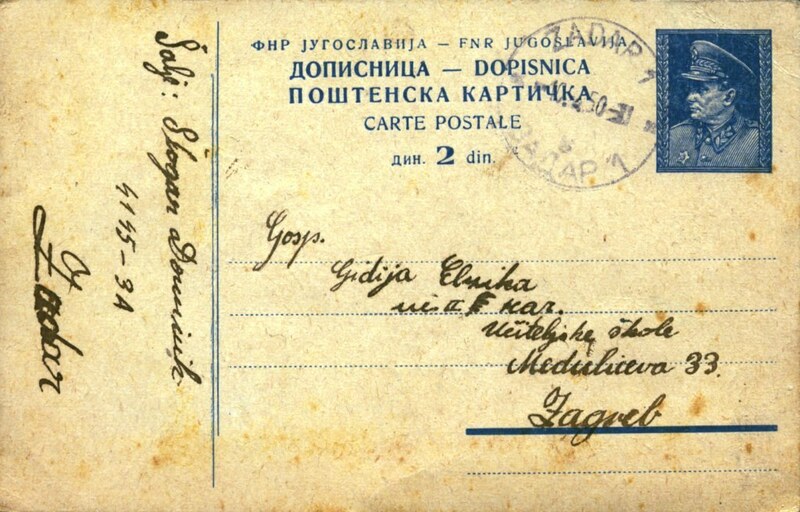 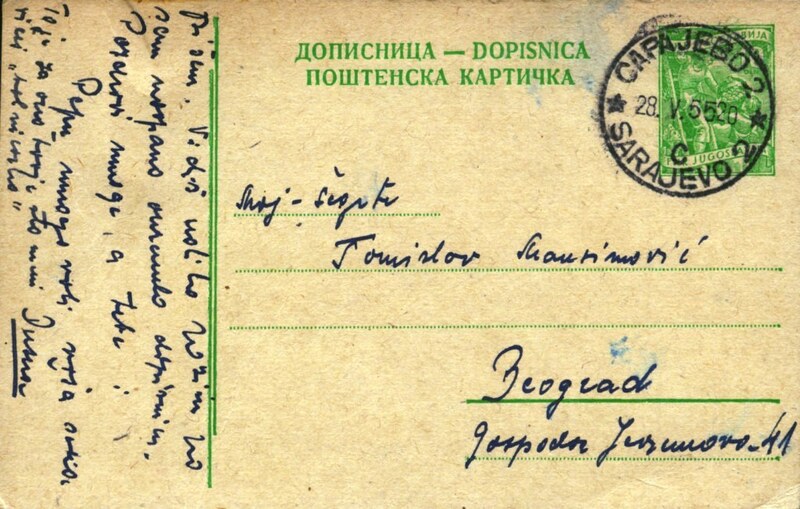 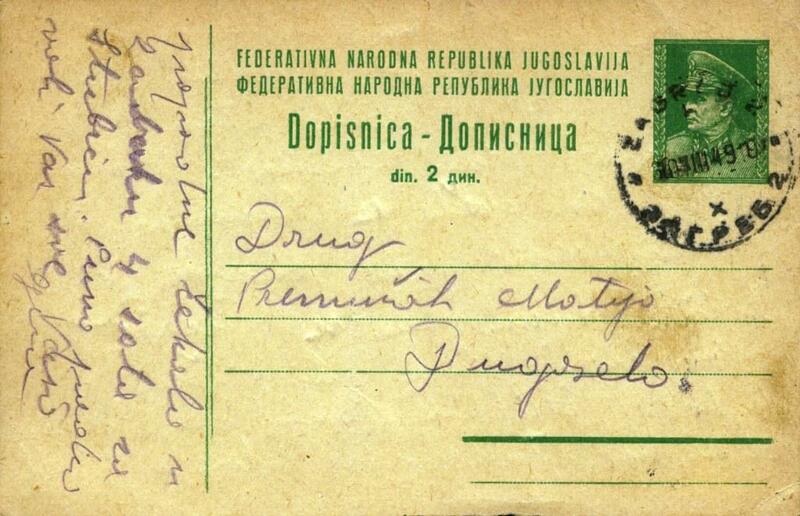 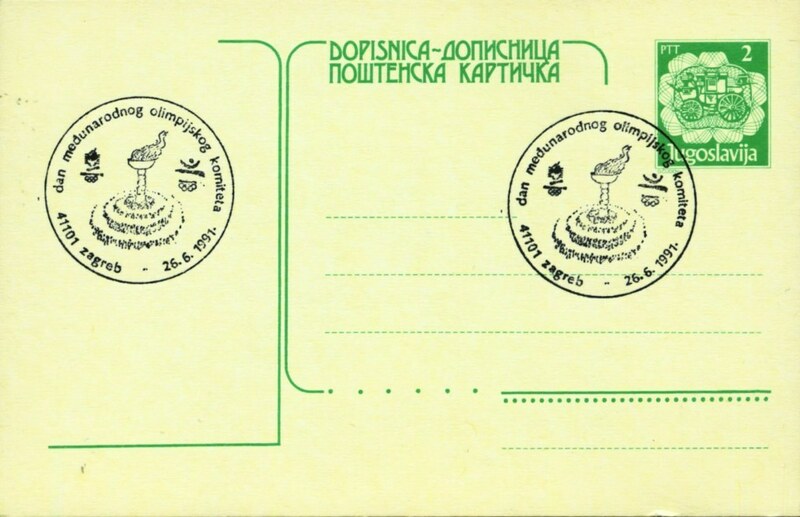 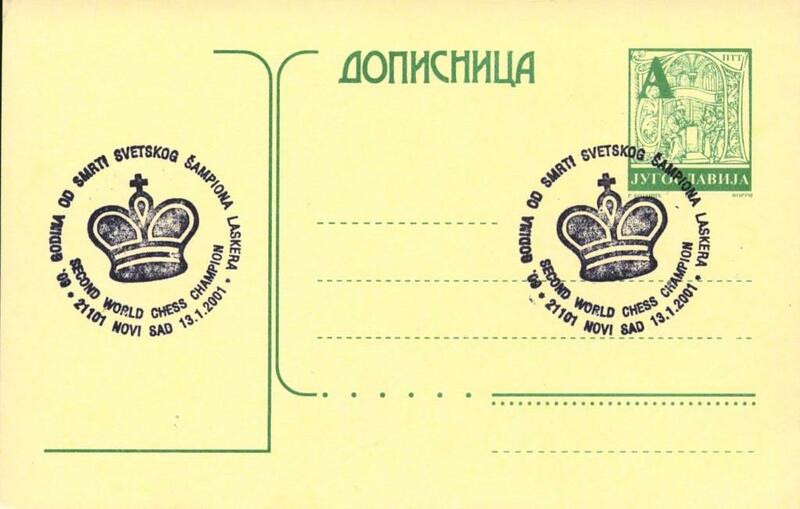 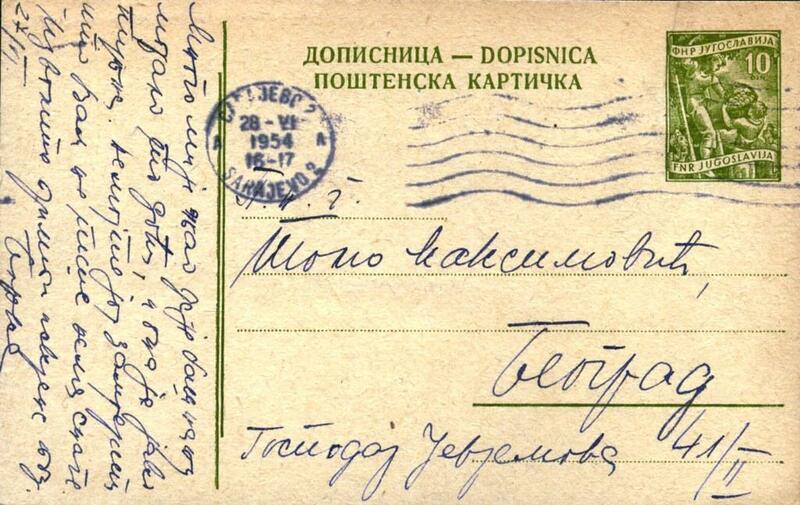 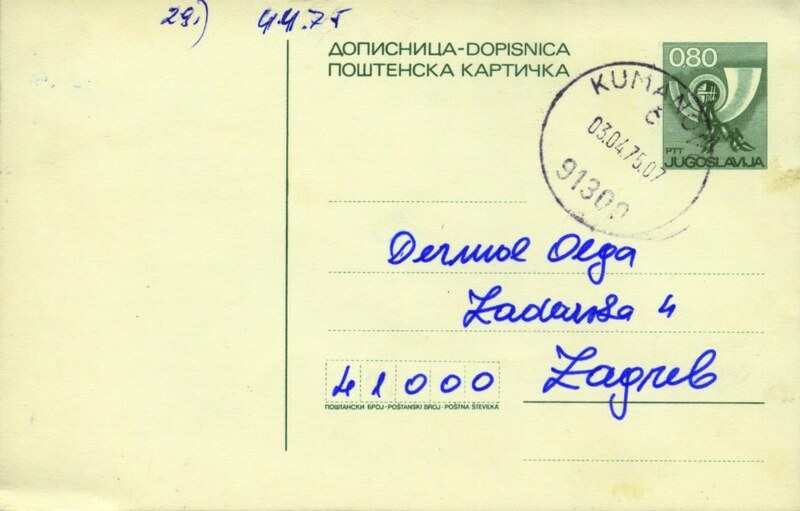 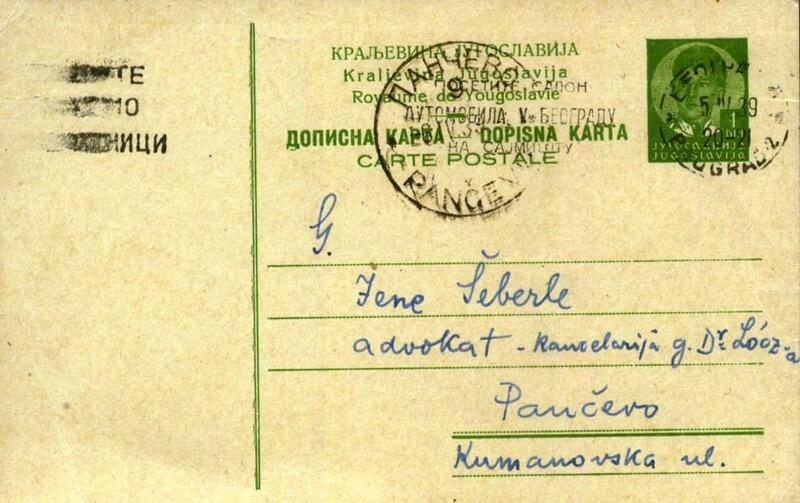 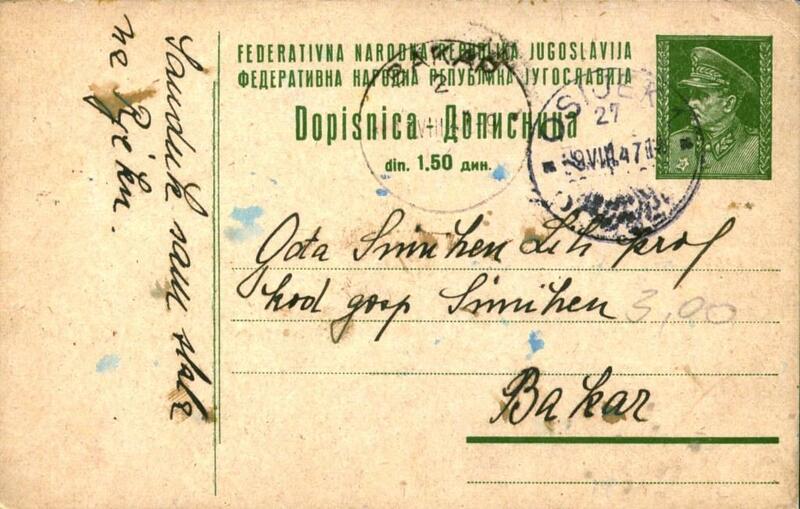 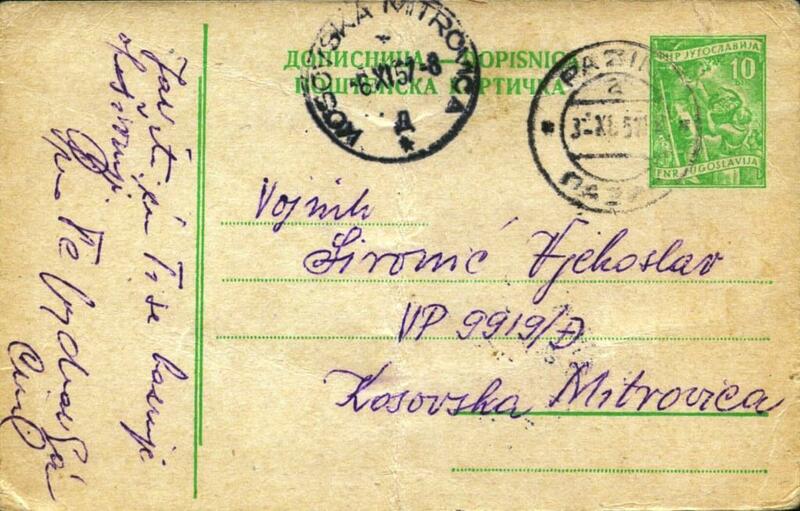 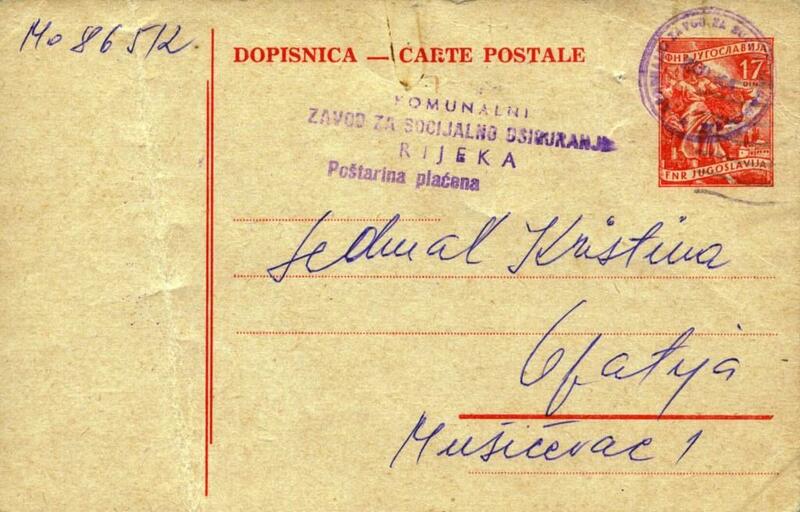 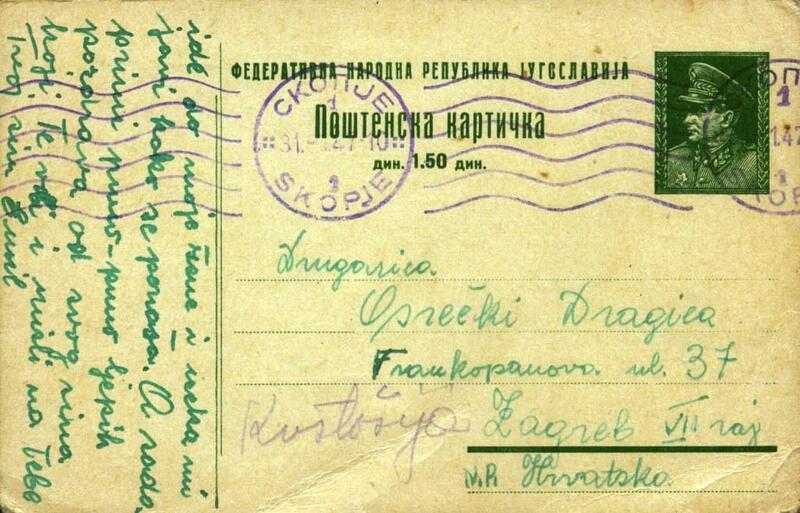 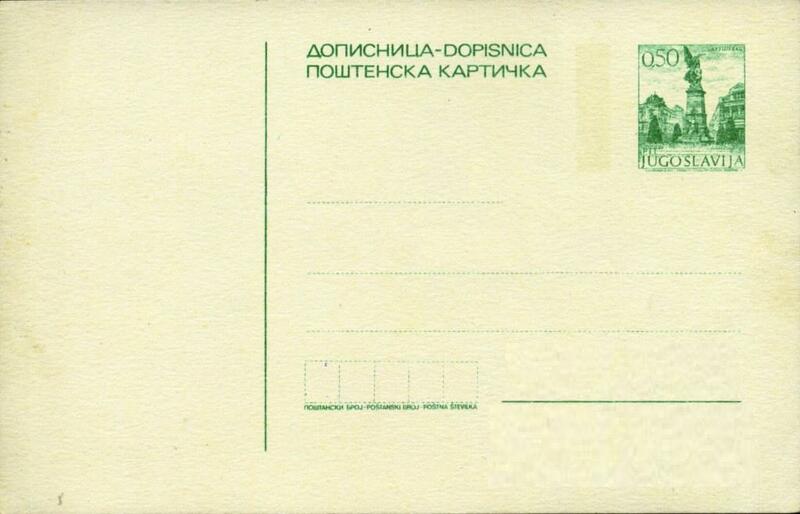 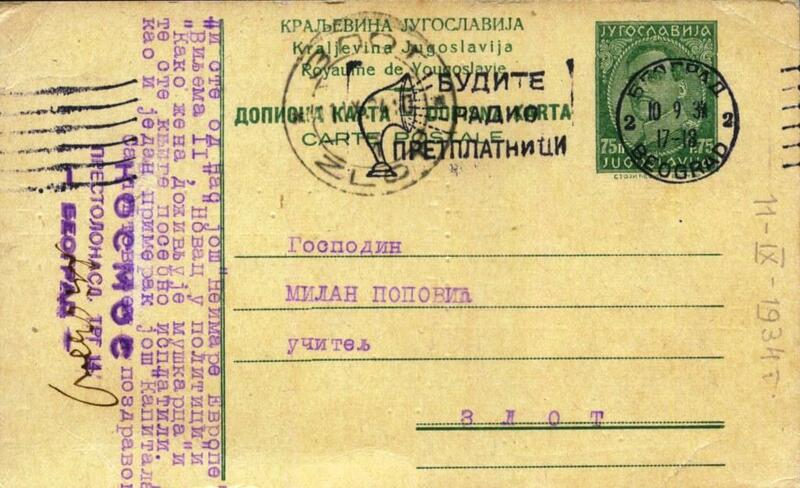 postmark: from —-> to OPATIJA( SR Croatia) / 07-07-1969.
postmark: from —> to 51000 RIJEKA (SR Croatia) / 24.01.1991.
postmark: from —> to 51000 RIJEKA (SR Croatia) / 08-02-1989.
postmark: from —> to 51000 RIJEKA, (SR Croatia) /08-02-1988. 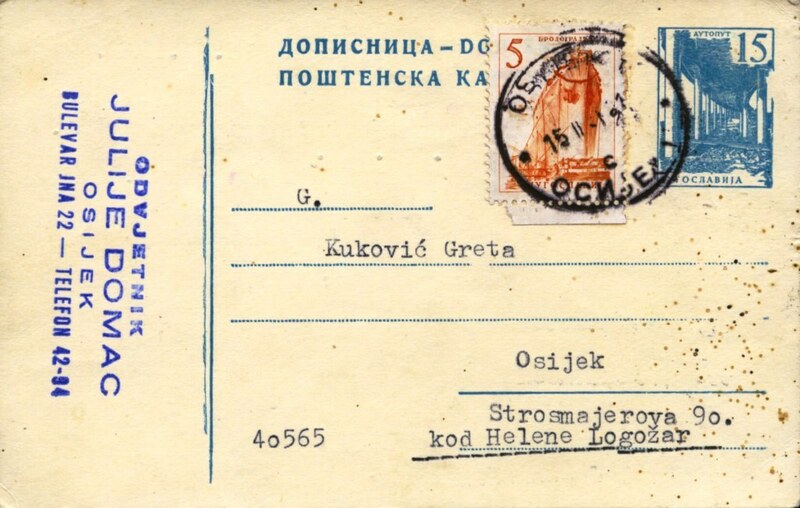 used: from->to 40565 OSIJEK (SR Croatia) / 18.10.1966.
used: commemorative cancellation 41101 ZAGREB (SR Croatia) / 26.06.1991.
used: commemorative cancellation 21101 NOVI SAD (Serbia) / 13.01.2001.